Ductless Mini Split Installation | Comfort First Heating and Cooling, Inc. There are a lot of air conditioning systems available on the market today, each with their own advantages and disadvantages. Not all air conditioning systems are going to be equally suited to an individual home, though. 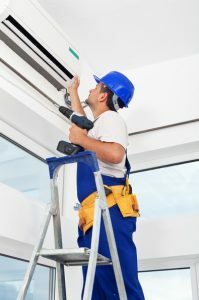 If you’re in the market for a new air conditioning system yourself, you need to carefully evaluate which of the many air conditioning types is going to be best able to meet your needs. Of course, if you want the best possible advice on this topic you should consult with a professional in-person. They’ll be able to walk through your home with your and suggest the best system for your situation. In the meantime, though, have a look at how a ductless system might be the one for you.